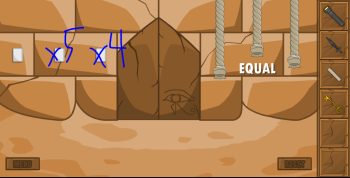 Make the ropes equal in length by pressing the white buttons. First tap the 3rd button 4 times, then the 2nd button 5 times. 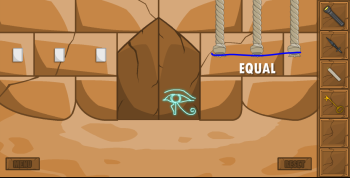 Proceed to the next Pharaohs Escape level!